Last week’s Gigaom article by Peter Coffee, Salesforce.com’s VP of Strategic Research, controversially asserts “RIP, the server.” In the article, Peter contends that the days of businesses running on private servers are over. Most of the 240+ comments responding to the article are predictably heavy-handed denials from exasperated old-school IT wizards whose visions do not extend beyond their Cat 5E cable runs. Sadly, because I work in this industry, I was not at all surprised by the number of server-hugging IT conservationists who responded with an overly-literal interpretation of the title of Peter's article—their chief take-away being that Salesforce.com’s VP of Strategic Research must be unaware that cloud service providers themselves actually run on servers. Peter’s take, while controversial and consciously subversive, is not entirely new. Nicholas Carr raised a number of eyebrows when he wrote about the vanishing advantage of IT in ”IT Doesn’t Matter” in 2003 for Harvard Business Review. Matt Hooper, currently Acorio’s VP of Strategy, had discussed business leaders becoming more tech-savvy during his excellent “Bye Bye IT, We’ll Miss You!” talk during Service Desk Institute’s TFT 2012. Among other keen observations, Matt correctly identified trends in cloud computing that are changing how technology services are sourced. For the record, IT is not dead. Servers, as a physical piece of hardware, will continue to be produced, sold, and operated. However, most of my clients are evaluating the cost of self-hosted servers versus servers hosted by a cloud service provider in an Infrastructure as a Service (IaaS) environment. Those not ready to take a full leap into the cloud are exploring emerging “Buy the Load, Rent the Spike” federated solutions that selectively use IaaS to build a cost advantage. We know that IaaS is not the right solution for everyone. We know that there are some companies who cannot leverage IaaS, due to data residency requirements, ISV support issues, licensing quirks, or compliance requirements. We also know that IT organizations exist that are too risk-averse to consider cloud computing. These organizations continue to manage the risks of operating an IT infrastructure themselves despite it not being a core business competency. These same IT organizations also often have a difficult time differentiating between an investment and a sunk cost, and may never develop the motivation to move even some of their workloads off of their sprawling server farms. At the same time, these IT organizations scream to the mountains that the business has under-invested in them when they’re called to the carpet for being unable to deploy servers as quickly or scale as effectively as cloud service providers. If you run such an IT organization, I caution you: your business constituents have already found ways to work-around your stubbornness and will continue to do so. For sensible IT organizations who are currently working on evaluating the IaaS business case, I would suggest that developing a cost model is the first step in this process. The cost model is critical to determining what belongs in the business case and what does not. Cost impact can be somewhat subjective for different organizations due to different funding agreements within the organization. For example, some of the clients I work with include "user training" and "outside consultant fees" in their business case costs, others do not. Many of the respondents to the aforementioned Gigaom article deftly pointed out that the amortized 3-5 year hardware purchase cost of a single server is less than the cost of the same server hosted in an IaaS environment. Absent from their comments was consideration for many of the cost components above, including personnel, networking, maintenance, DR, data center costs, and—yes, again—personnel. Make no mistake: the costs to support a server exceed its purchase price. According to a 2012 study by Gartner, in a 4,000 square foot data center of approximately 1,000 servers, staffing is 48% of the cost of a server, with server hardware only representing 24% of server Total Cost of Ownership (TCO). The Cloud Advisory Services team at NTT DATA works with organizations to create business cases for cloud migrations. We help companies develop cost models as a basis for evaluating current TCO and substantiating TCO for the same environment in the cloud. Once we have developed a cost model, we help identify IT and business benefits to moving assets to the cloud, understanding current organizational drivers and vetting future business demand. By helping to identify both cost impact and benefit, we can accelerate the creation or review of a business case for cloud computing. By developing a server infrastructure cost model, your organization will be able to determine all of the costs involved in maintaining its server sprawl. Once comprehensive cost information on the current server infrastructure is available, a better apples-to-apples comparison to cloud solutions, such as IaaS, can be made. 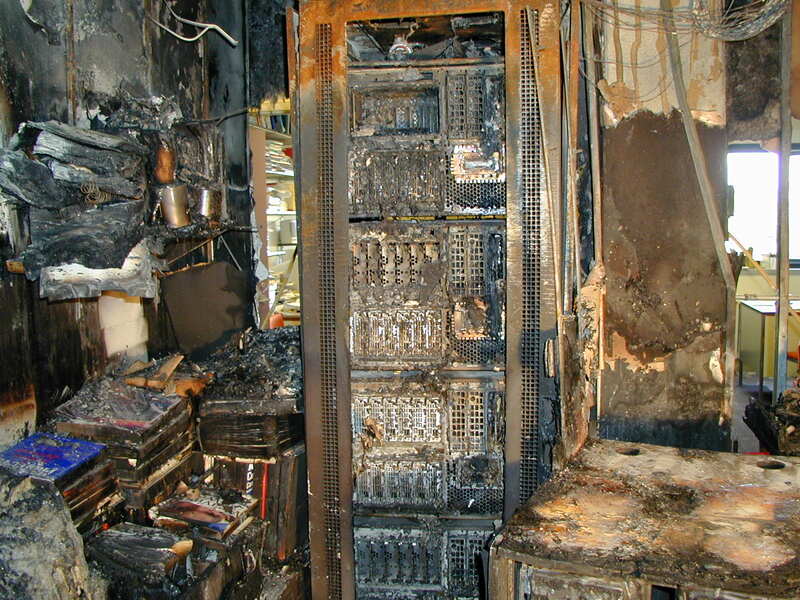 While the death of the private self-hosted server is probably years away, I believe that if all companies performed a reasonable evaluation of their server infrastructure costs, Peter Coffee’s “RIP, the server” article would be much less controversial.